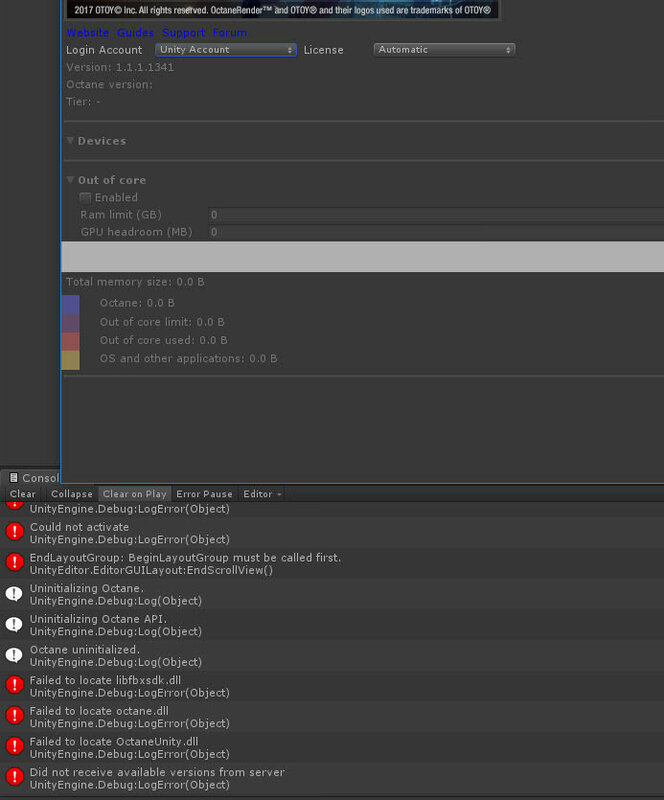 But ... before I start messing with installing earlier CUDA versions, what's the confirmed, working combination of Unity, Octane and CUDA/cuDNN ? The CUDA_PATH in the System Variable already points to the right folder, so maybe there's some other issue? I've contacted our license team to help out with the issue. Could you try logging into ORC via the web interface, and accept the terms there? That should resolve the issue. 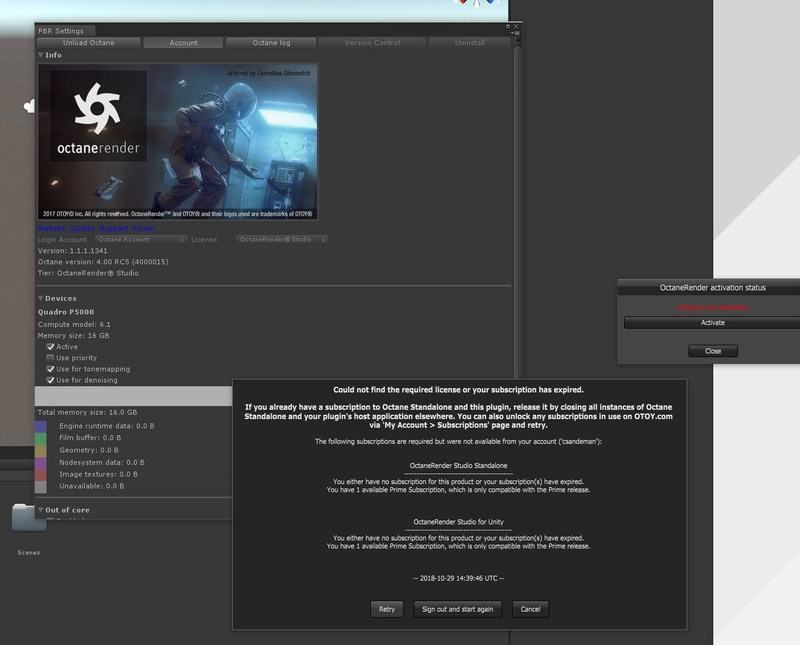 Did you see any other messages in the Unity console before encountering the ORC 401 error? Xhed wrote: Could you try logging into ORC via the web interface, and accept the terms there? That should resolve the issue. 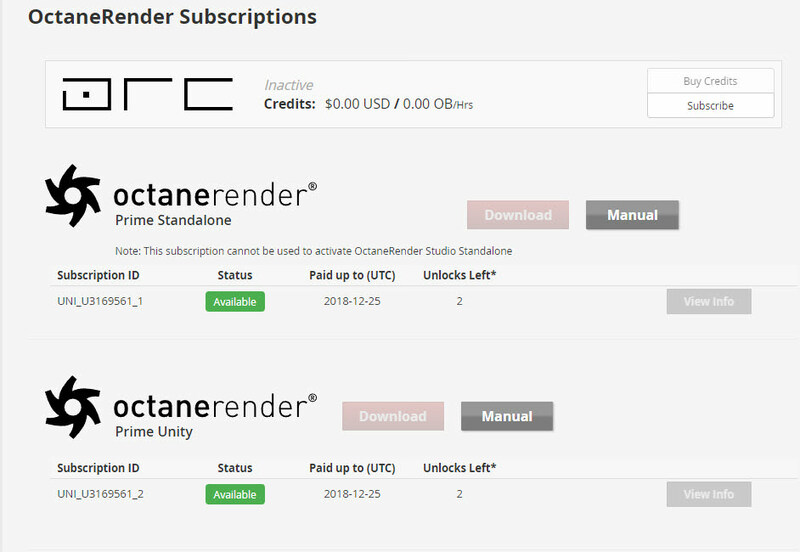 It looks like you are trying to use an Octane Studio license from within Unity, while you have an Octane Prime subscription. Xhed wrote: It looks like you are trying to use an Octane Studio license from within Unity, while you have an Octane Prime subscription.